Defendant Scharron Dingledine attends a hearing in Judge Peggy Kittel’s courtroom, where she entered a plea agreement with the prosecution on Monday, Dec. 17, 2018. A mentally ill Missouri mother has pleaded guilty to murdering her 5-year-old daughter and trying to murder her 1-year-old son by driving the children into the Kansas River. 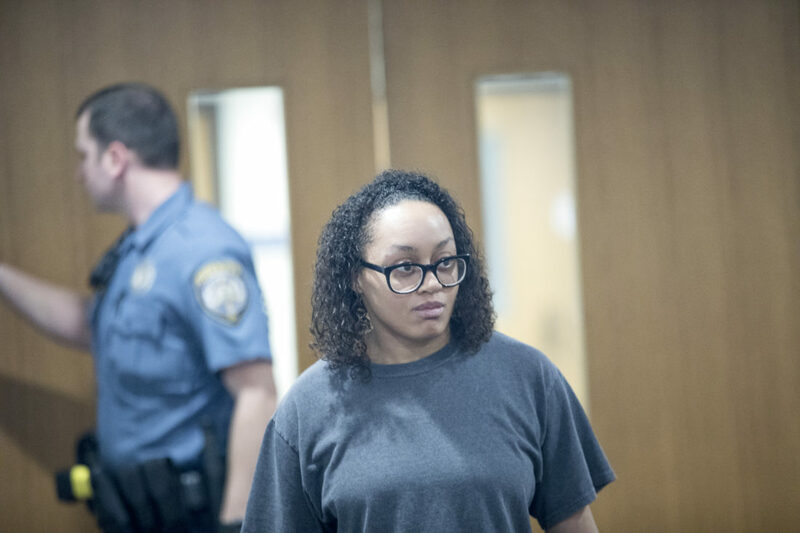 Scharron R. Dingledine, 26, of Columbia, appeared in Douglas County District Court Monday for a hearing where the judge initially was expected to schedule her murder trial date. 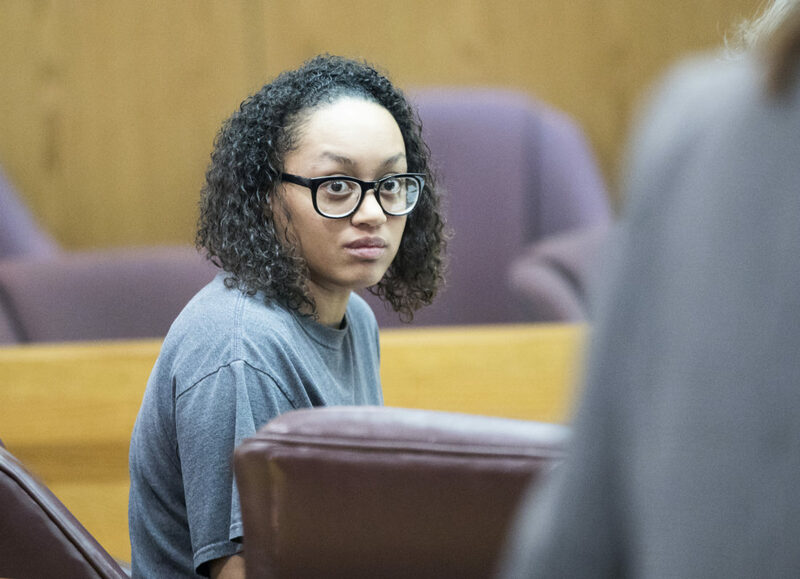 Instead, Dingledine pleaded guilty and was convicted of felony first-degree murder of daughter Amiyah Bradley, rather than her initial charge of premeditated first-degree murder. She pleaded guilty as charged to attempted first-degree murder of her son, Elijah Lake. 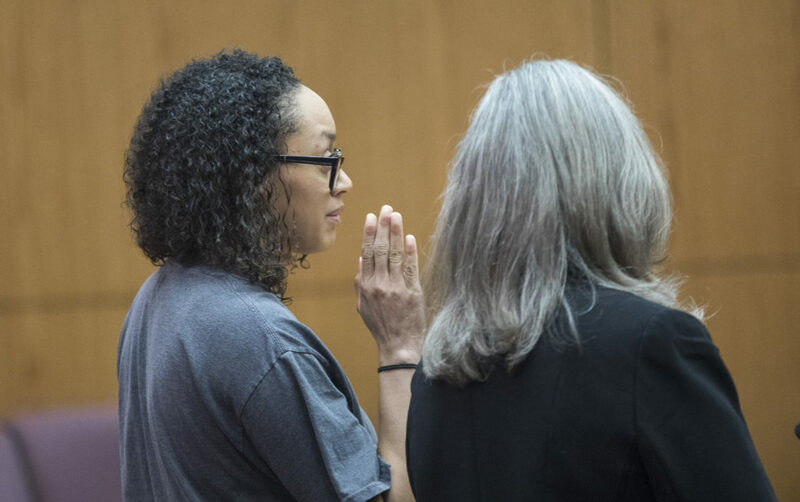 Instead of facing a maximum sentence of life in prison with no possibility of parole for 50 years, she now faces life in prison with the possibility of parole after 25 years. 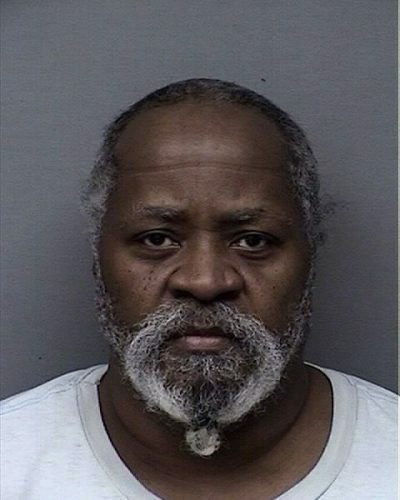 The attempted murder conviction carries up to 165 months in prison, which the plea agreement calls for running concurrently with the murder sentence. Judge Peggy Kittel revoked Dingledine’s bond pending her sentencing, set for Jan. 22. When prompted by Kittel, Dingledine said that she suffers from both bipolar disorder type II and borderline personality disorder. Now in jail, Dingledine is taking mood-stabilizing and antipsychotic medications for those illnesses, she told the judge. Dingledine stood and answered the judge’s questions briefly and clearly. She did not show outward signs of emotion during Monday’s hearing, though at one point as charges were being read her attorney placed her arm around Dingledine. The attorney, Carol Cline, told the judge that Dingledine wanted to know whether her plea would enable her to have contact with her surviving son after she is sentenced. “It’s a very big concern for her,” Cline said. Kittel said there would be no prohibition from her about Dingledine seeing her son but that she didn’t have authority over the matter; the child’s guardian and the prison would. “I don’t know anything about who is taking care of your son or whether they would be willing to bring him to you,” Kittel said. About 1:15 p.m. Aug. 3, Lawrence police officers plunged into the Kansas River near downtown Lawrence after passersby reported a car and people floating in the water. They pulled Dingledine to shore, then Elijah, who remained hospitalized for months. Amiyah’s body was recovered the next morning. Dingledine told police that she had decided to kill herself and also decided to kill her children “because she did not want anyone else to have them.” District Attorney Charles Branson recounted the evidence in court Monday, adding that Dingledine also told police she drove into the river because she knew neither child could swim and would likely die. 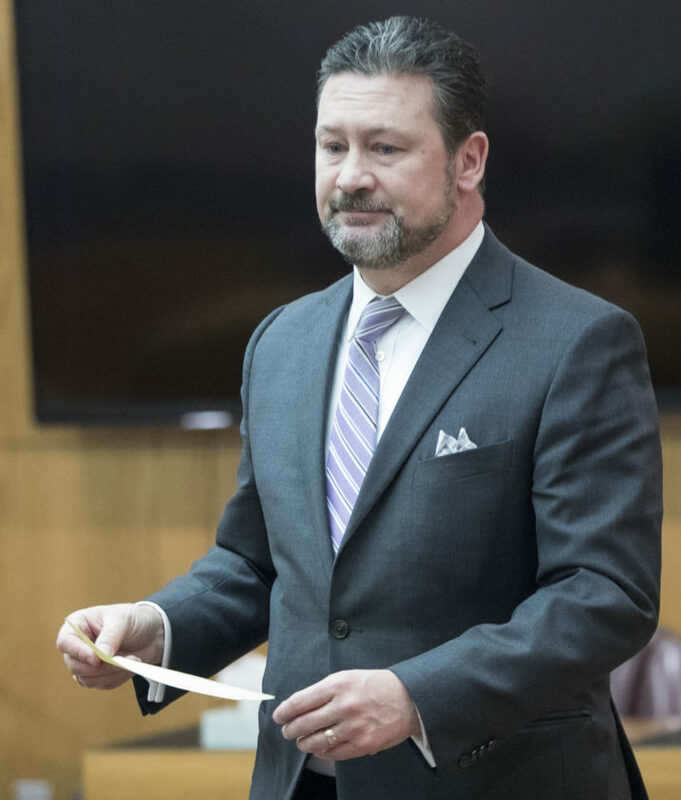 Douglas County District Attorney Charles Branson is shown at a hearing for Scharron R. Dingledine on Monday, Dec. 17, 2018. Branson said he was unable to provide an update on Elijah’s state since being released from the hospital. However, Elijah’s father told the Journal-World soon after the incident that his medical situation was unstable and it remained to be seen how he would fare. 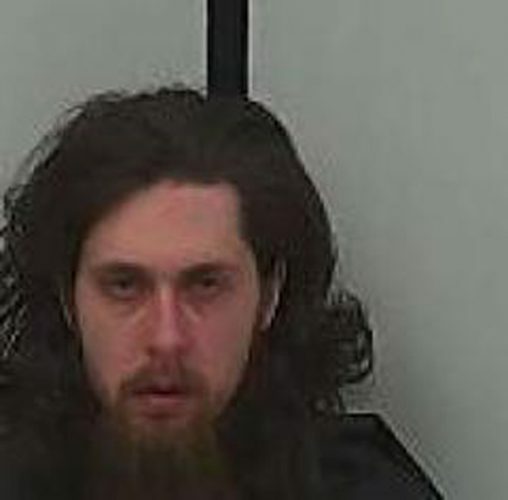 Branson said Dingledine’s mental illness made the murder case appropriate for a plea agreement. Branson said that while he believes a life sentence is appropriate for the harm caused by Dingledine’s actions, it’s appropriate for Dingledine to be able to seek parole at a “realistic” date and put herself in a position where she could have some kind of future. “We have to recognize that she became involved in this in part because of a mental health condition, and that mental health condition problem wasn’t properly diagnosed and treated,” he said. Dingledine’s mental illness is a separate matter from her competency to stand trial, Branson noted. Shortly after being charged in the case, she did undergo a mental health evaluation and was deemed competent to understand and participate in the proceedings against her. Dingledine’s mental health was a factor in her movements in the days leading up to the alleged crimes. Dingledine had arrived in Lawrence earlier the morning of Aug. 3 after a tumultuous chain of events that started at her home in Columbia in the early morning hours of Aug. 2, the Journal-World previously reported. Those included a domestic dispute with her live-in boyfriend, Elijah’s father; checking herself into a psychiatric hospital; filing a restraining order against the boyfriend and asking for custody of Elijah; stealing the boyfriend’s car with the children inside; stealing a stranger’s car in rural Missouri; then driving to the Kansas City area and, ultimately, Lawrence, according to allegations in law enforcement reports and court filings. Dingledine told Lawrence police that she’d been driving around Lawrence, feeling depressed, and formed the plan to kill herself and the children.